My current production time is 3 – 6 business days. 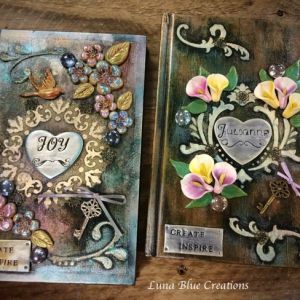 Please leave a note during checkout for personalization and choice of book. 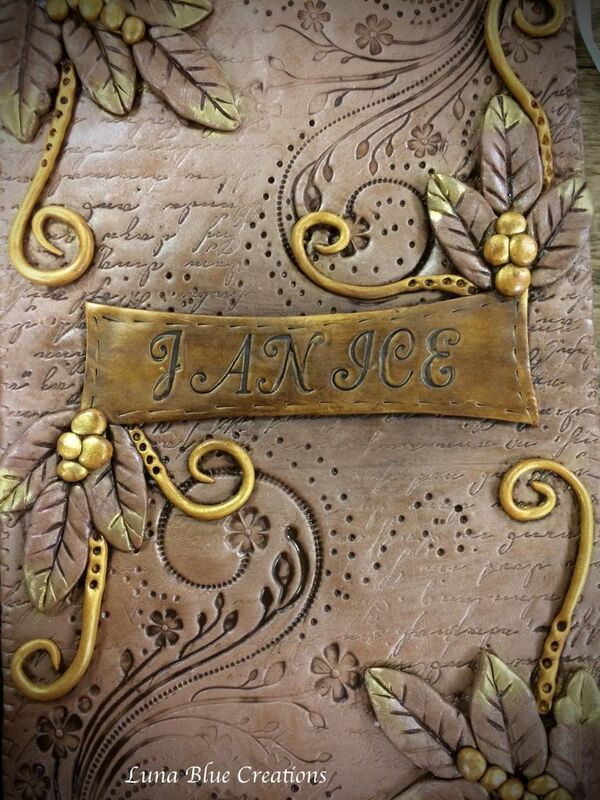 Hardbound Journal, premium quality, hard bound, ruled, cream color, 152 pages (8.5 X 5 inches). Sketchbook premium hard bound A5 size (8.5 X 5.5 Inches), 192 pages. Spiral Bound, hardbound (8.5 inches X 6 inches), 200 lined pages. 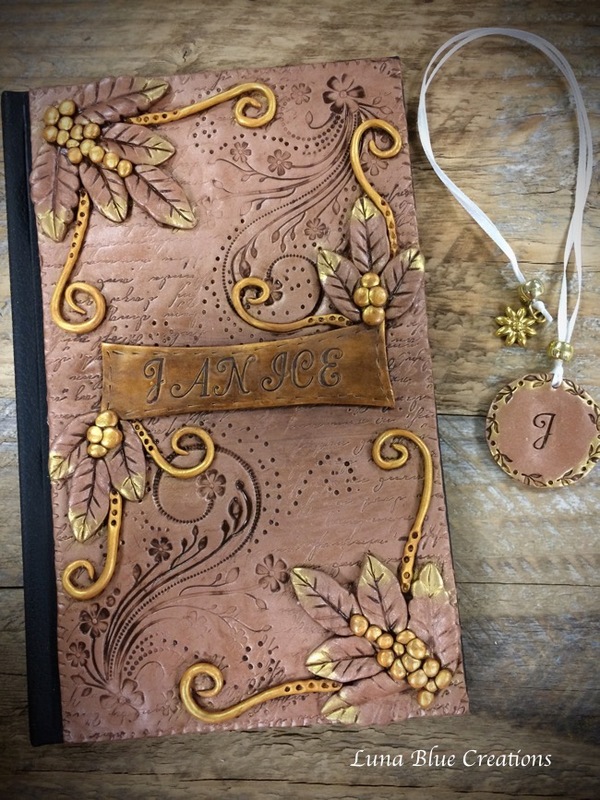 Personalized Journal, Personalized Polymer Clay Covered Journal, Antiqued gold leaves design, Personalized notebook, Personalized Dairy. Design are Shades brown with gold and antique medium. I can recreate the same design or customized it for you. 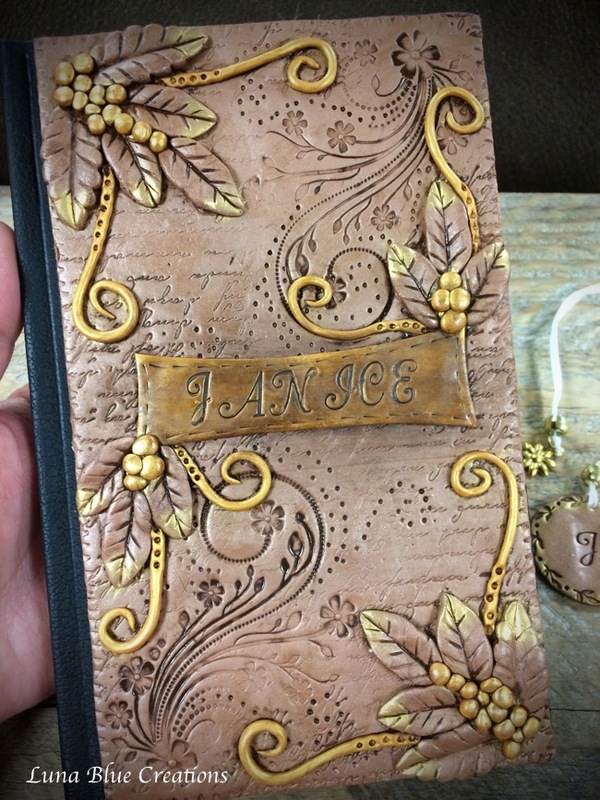 This cover is handmade. All pieces I make is unique so there maybe slight variation. 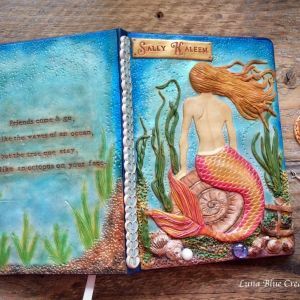 Journal cover is made of polymer clay. 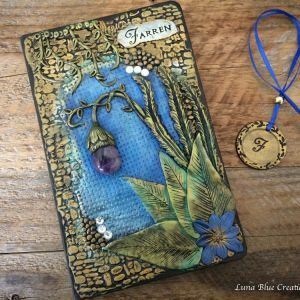 Designs are hand stamped, hand sculpted, hand cut and hand painted with pearl ex and antiquing medium. I sealed it after it has been cured to make it durable. 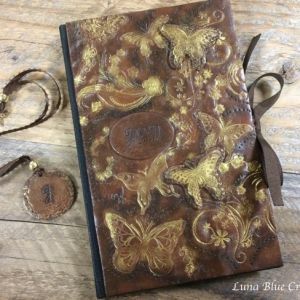 Materials used Polymer clay, pearl ex, antique medium, 8.3 x 5 inches hard bound premium ruled journal/sketchbook and varnish. Steps on how I create this cover.